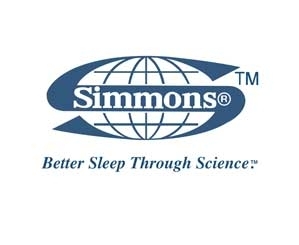 The Simmons Bedding Group is one of the largest in Europe. Simmons have a reputation for beds and mattresses of superb quality, which offer excellent value for money and a great nights sleep. MyNextMattress is proud to offer the Simmons name as one of our suppliers. This brand is at the forefront of bed manufacture, and their slogan of 'World-Wide Leaders in Sleep Technology' is absolutely correct. We deliver all Simmons beds and mattresses for free, and anything larger than a Single mattress is delivered by our 2-man crew to the room of choice - Free! Simmons have over a century of experience and this enables them to create practical, comfortable mattresses at great prices. Simmons use traditional methods during the manufacturing process which enables them to focus support where it’s most needed and is a fantastic option if you suffer from back pain. If you're unsure of the options, let us know and we can use our experience to guide and advise you on the best products.